We carry a several products at our facility. Look below for more information about these products. 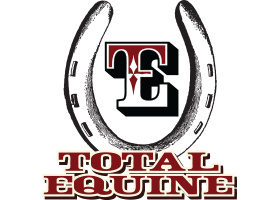 Total Equine® was developed from science and experience. The nutrient levels are based on what has been learned by scientific research. The physical form of extrusion and the specific ingredients are what horses, mules, and donkeys need to maximize health, attitude and performance. Total Canine™ is a complete, extruded dog food formulated to provide the essential nutrients for maximum health, growth and reproduction. The ingredients used in Total Canine™ are of the highest quality and provide excellent bio-availability of nutrients to the animal. We are now a sponsor for Tarter.